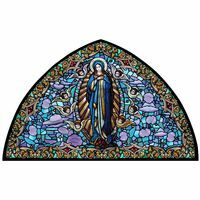 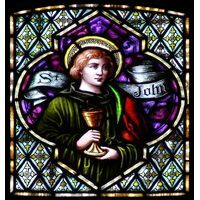 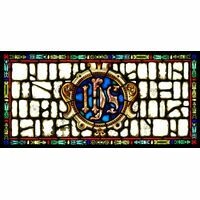 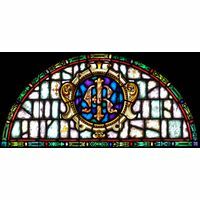 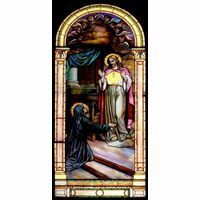 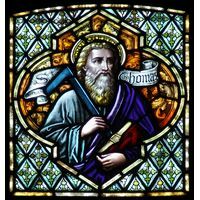 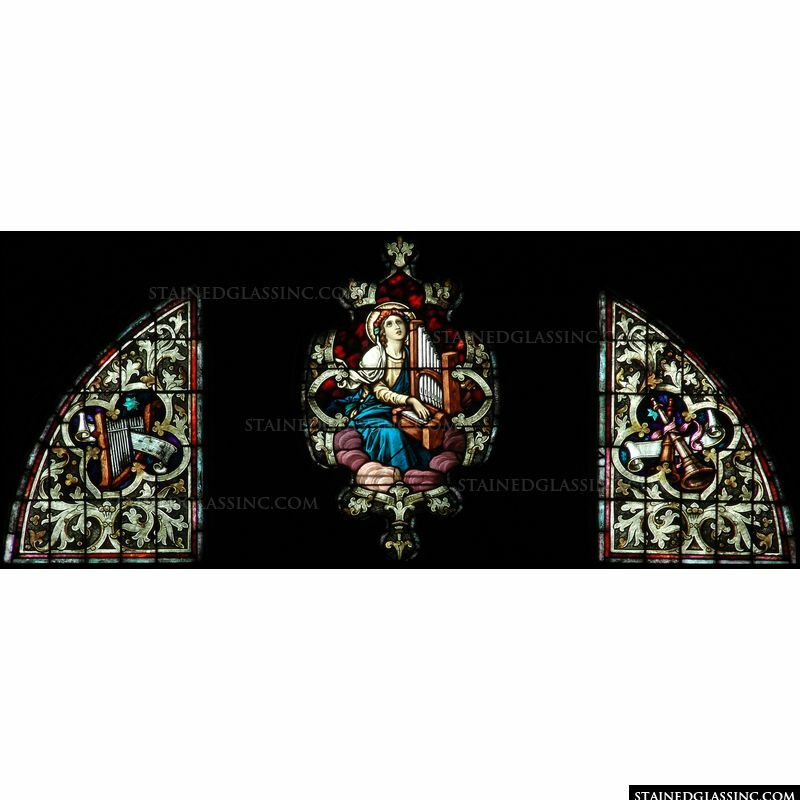 Beloved St. Cecilia, the patron saint of music and musicians, is memorialized in lovely stained glass, part of a crystalline tableau designed to enhance the entrance of any chapel, church, music room or music hall. 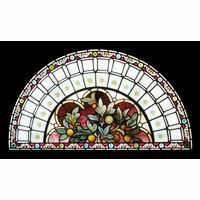 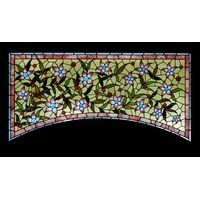 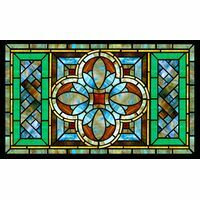 Breathtaking imagery and the depiction of various musical instruments decorate this astonishing work of stained glass art, with vibrant, rich colors of the rainbow and gem like accents that sparkle like diamonds. 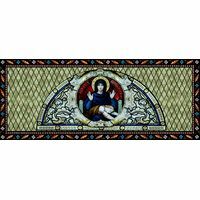 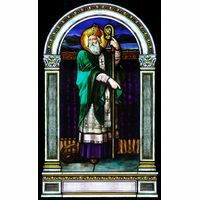 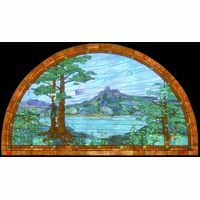 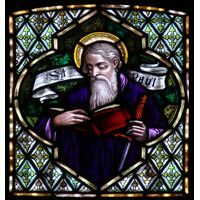 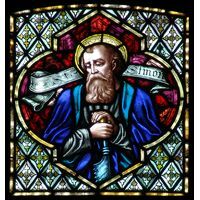 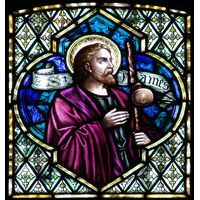 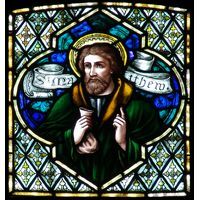 The flawless imagery and shifting light patterns bring this beautiful stained glass panel to life for all who behold it, inspiring awe and touching the heart.